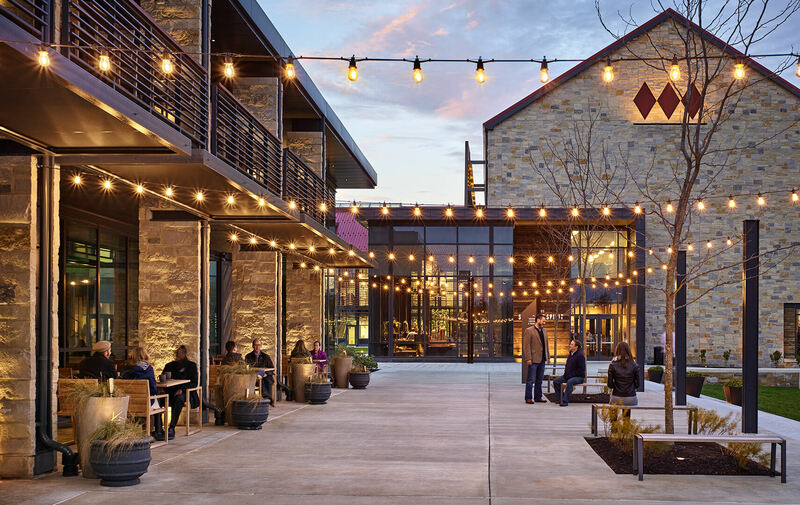 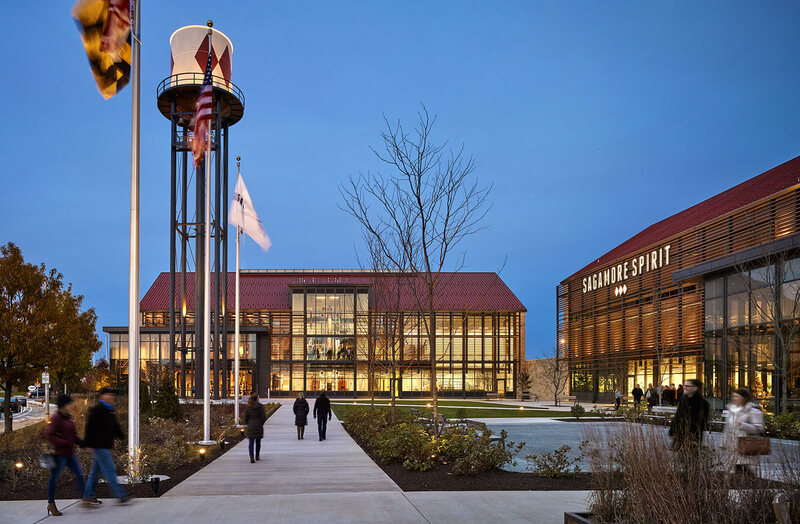 The plan also includes a 120-foot water tower which will hold water from a natural spring at Sagamore Farm in Baltimore County, and a waterfront promenade that will link to additional promenade and green space in the future. 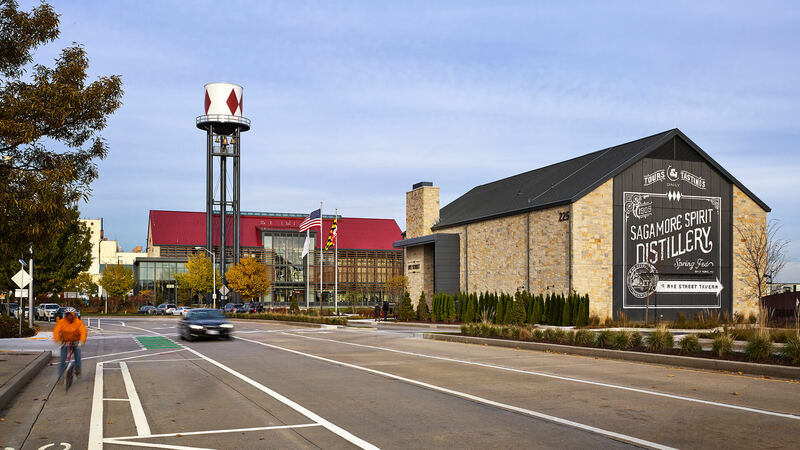 The entire project is modeled after Sagamore Farm with red roofs, grey brick and a stone facade on the restaurant. 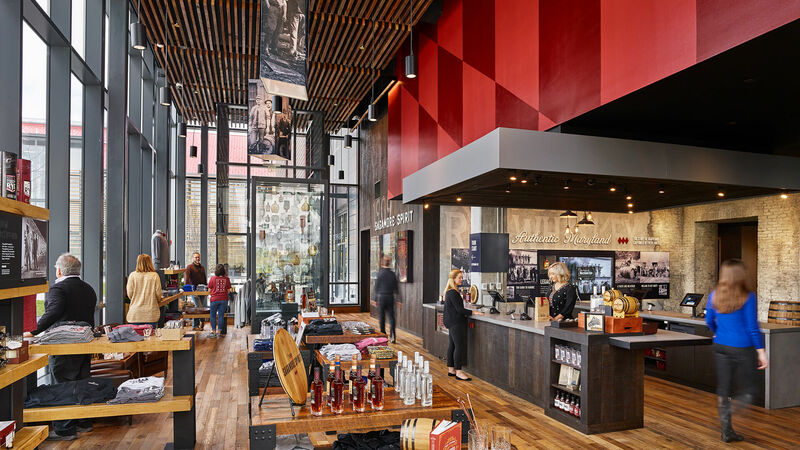 Sagamore Spirit Distillery common area.